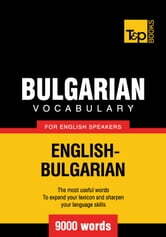 Knowing and understanding around 9000 Bulgarian words will give you the ability to read and write with only the minimal use of a dictionary. This knowledge will foster your ability to express your thoughts during conversation in a precise and accurate way. 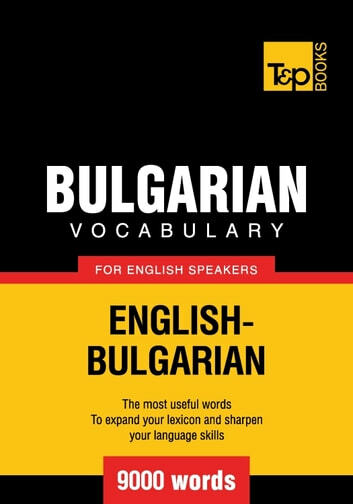 This book is intended to help you learn, memorize, and review over 9000 commonly used Bulgarian words. Recommended as additional support material to any language course. Meets the needs of both beginners and advanced learners. Convenient for daily use, reviewing sessions and self-testing activities. Allows you to assess your current vocabulary. This book can also be used by foreign learners of English.